Dedicated to “Oyan News”: a few hours ago intelligence and security forces have arrested widespread Azerbaijani social and national activists in Tabriz. 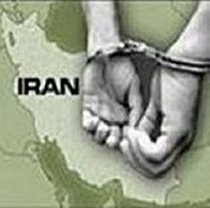 Based on Oyan News’ reporter’s report, today, Sunday 24 February 2013 at 20:30, over forty intelligence and security forces by invaded “Yanar” Coffee Shop located in “Qolshahr” in Tabriz, arrested widespread Azerbaijani social and national activists. confirmed sources has till know informed us about the arresting, salar toori, Mohammad Amiri and Ali Sirnak. According to information coming from sources, number of arrestees has till now reached the number 50. Social activists believe these wide and unreasonable arrests are concerned with the approaching Asian Matches of Traxtor and belive that creation of panic and security condition in Azerbaijanis cities for preventing any public protest or civil act is of high probability .